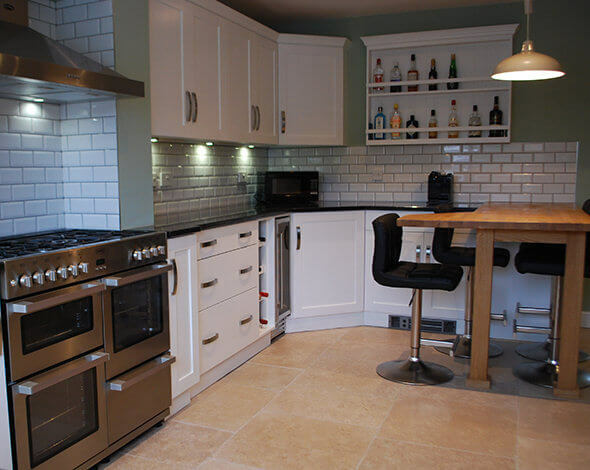 BDS Construction Ltd is a well established building contractor operating in Derby and the surrounding areas. We carry out all types of residential building projects as well as small commercial building projects. We have an excellent reputation for high quality building work, using skilled tradesmen and carefully selected materials. We obtain most of our work from reputation and repeat business. We always provide a project manager who is office based. They provide a personal service and the client always has one point of contact. Our project manager oversees each project from start to finish and they liaise with the client throughout. Our professional approach ensures that all work is completed on time and on budget. We offer a free no obligation consultation to discuss your project. As a Derby based building company we look forward to discussing the requirements of any projects that you are looking to undertake in the area. So call us now on 01332 830313. We also offer a full design service. Please visit our architectural website www.b-d-s.co.uk for more information. 6 Top Tips For Choosing Land To Build Your Dream Home On! Loft Conversion Or Extension: Which Is Right For You? A loft conversion or an extension are both ideal choices for people who want to expand the available space within their home for a number of different reasons. But which is the right option? How Do I Get Planning Permission For Extensions To My Home? A dated Derbyshire cottage with limited light needed new life breathing into it for the clients to be able to fully appreciate and enjoy their newly purchased property. The end result of having a well thought out design to address the issues of the old property exceeded expectations. This is a rear extension to create a large lounge area with bi-folding doors overlooking the countryside as well as a kitchen refurbishment. BDS Architecture were highly recommended from a friend. We needed an experienced design company and BDS did a superb job in designing our extension befitting to the style and age of the property. We were so impressed with the design service we commissioned BDS to also build our extension. The finished living space of an additional 2 bedrooms, ensuite bathroom and playroom exceeded our expectations. We love the end result! Thank you. We had been discussing extending or moving for many years, and so when we finally made the decision we had some clear ideas of what we wanted. We wanted a large family room to include kitchen, dinning and seating areas, as large as we could without planning permission. We discussed our vision with Tim Foster and he did the rest. Along with his team of experienced builders and tradesmen they made our dream become a reality. Our only regret is that we didn’t do it sooner. Sarah and I would like to say how happy we are with the extension that you planned and built for us last year. It's fantastic to look out in all directions and see something different through each of the many windows, especially when the weather is as variable as it currently is. The kitchen is wonderfully bright and airy. It's a real pleasure to live in and the outdoors on the patio will be just as good in the summer I'm sure. 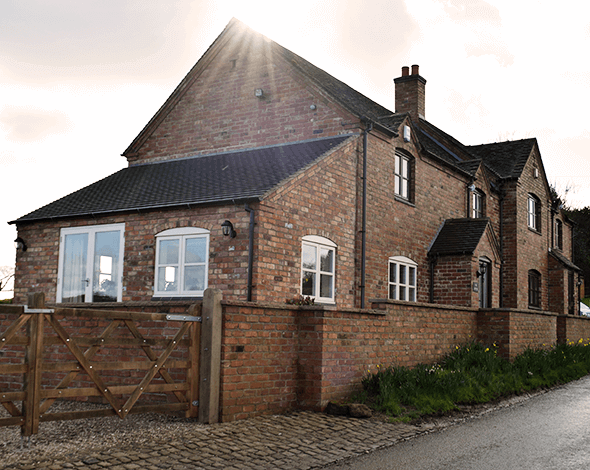 Your vision for what could be achieved together with the skills of your building team have resulted in a home that works fantastically well and is very special to us. Many thanks for all your hard work. Copyright © 2016 BDS Construction. All rights Reserved.